Theo Sowa, CEO of African Women’s Development Fund. ve been timelier. 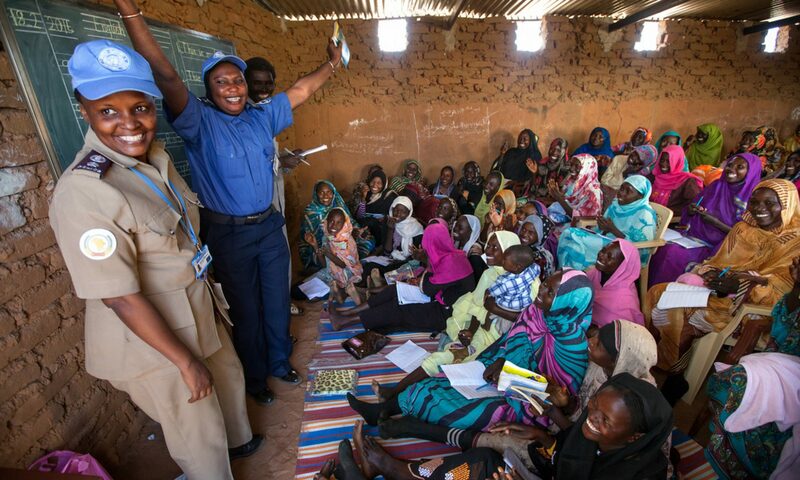 Revelations of child sexual abuse, perpetrated by French, Chadian, and Equatorial Guinean peacekeepers, were made public not a month before this global campaign to end immunity for UN peacekeeper sexual violence was announced. The knowledge of these horrific acts, involving hungry and homeless boys as young as eight, was never meant for public consumption. Indeed, when high-level UN officials gained knowledge of these abuses, they did the unthinkable: nothing. Internal UN documents received by AIDS-Free World reveal severe gaps in the UN’s ability to adhere to its ‘zero-tolerance’ policy. These documents showed that by mid-July 2014, at least 12 UN officials were made aware of the abuses that occurred that spring. These officials also knew that no action had been, or was scheduled to be, taken. It wasn’t until senior aid worker Anders Kompass learned of the crimes that something was done. Seeing the UN’s failure to act, Kompass provided an internal report to French authorities, who subsequently thanked Kompass and launched an investigation. Senior level UN officials then began to be interested. However, as AIDS-Free World notes, the interest wasn’t in justice and care for the young boys; it wasn’t in ensuring more children weren’t harmed; and it wasn’t in condemning and persecuting the paedophilic peacekeepers. Rather, the sole focus was on Kompass’ actions concerning the leaked documents. The UN officials demanded Kompass resign for breaching UN protocols and leaking a confidential report. A well respected professional with thirty years experience, Kompass refused and a paid suspension was implemented. Last month, a judge ordered the UN to lift this suspension and an investigation is currently underway to determine whether Kompass is guilty of any wrongdoing. On June 3, 2015, Ban Ki-Moon ordered an External Independent Review to examine the UN system’s handling of the knowledge of child abuse in the Central African Republic. AIDS-Free World welcomed this announcement with the hopes that this review will truly be external and independent and with the emphasis that every level of staff, including that of the Secretary-General, must be investigated. The voices and needs of the children of the Central African Republic have been lost and overshadowed by the UN internal scandal. How have the boys’ injuries, physical and unseen, been addressed? How many more children are living alone, in silence with the impacts of the heinous acts of these peacekeepers? What support systems exist for these children and their families? These questions, and answers, must come to the forefront of this issue.